As we enter the month of February for many of us our thoughts turn towards warmer weather and planning in the hope for an early spring. This happens to be Ground Hog day here in Pennsylvania and many a person will wait with great anticipation for Punxsutawney Phil to appear. Popularized by the movie Groundhog Day in 1993, this annual tradition has origins that go back much farther than one might think. Oral tradition places the origin of the ceremony on German immigrants who encountered an abundance of groundhogs upon their arrival in Pennsylvania. The belief that if this ground boring animal came out of his hole and saw his shadow, he’d scurry back inside as an indicator of six more weeks of winter. How did it come to be that a rodent would be considered an accurate predictor of the weather? It actually has origins in Europe and was likely a carryover from religious teachings. February 2nd corresponds with the forty-day period after Mary gave birth on December 25th in the Christian church, known as the Purification of the Virgin. Women had to wait forty days after childbirth before entering a church or Temple again due to "uncleanliness". Eastern Orthodox Christian churches continue to practice this belief today, and all Christian churches schedule the Christening for forty days after the birth in keeping with this ancient purification practice. Observed in Catholicism, and by Anglicans and Lutherans, the Feast of the Purification is otherwise known as Candlemas. The Church blesses all the lights to be used in its ceremonies throughout the year, since it was at Christ’s Presentation at the Temple that Simeon called him "the Light to lighten the Gentiles, and to be the glory of thy people." Celebrated throughout Europe, Candlemas and its ties to weather and predictors of spring can be found in various poems and verses. Of German origin; For as the sun shines on Candlemas Day, So far will the snow swirl until the May. The Scottish version; If Candlemas day be dry and fair, The half o' winter to come and mair, If Candlemas day be wet and foul, The half of winter's gone at Yule. Lastly, the English version; If Candlemas be fair and bright, Come, Winter, have another flight; If Candlemas brings clouds and rain, Go Winter, and come not again. Pennsylvania’s ethnic melting pot includes all of these European groups, who continue to carry on some of their European traditions. 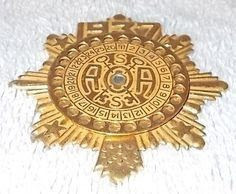 While these beliefs and origins seem rather antiquated today in this world of modern technology and (mostly) accurate weather predictions, these and other predictors were a necessary tool for cultures throughout time. Archaeological evidence of mid-winter celebrations at sites such as Stonehenge supply an opportunity to examine these belief systems. Archaeologists believe Stonehenge to be associated with the winter Solstice and excavations have revealed evidence of feasts and celebrations to support these theories. 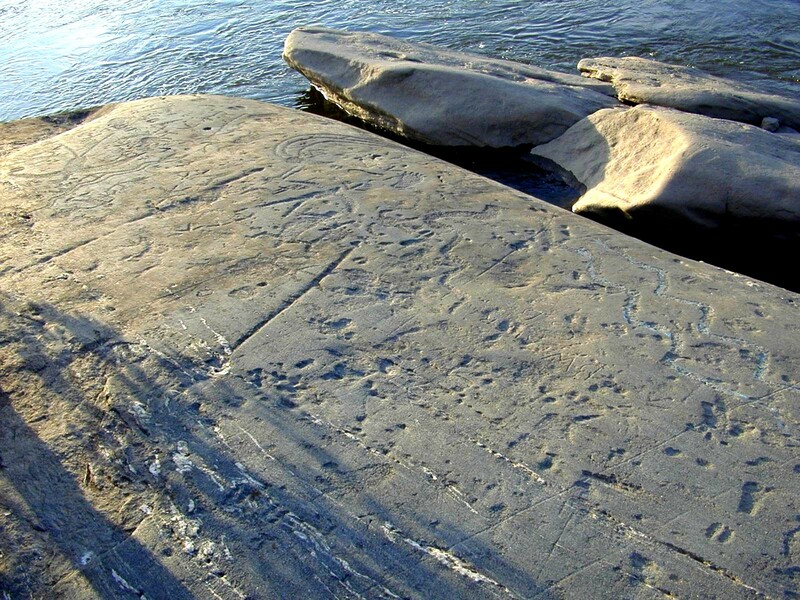 Here in central Pennsylvania, the petroglyphs in the lower Susquehanna river near Safe Harbor include symbols and alignments for the annual equinox and solstices as well. Jay Toth, Tribal Historic Preservation Officer, of the Seneca Nation feels that many of these symbols are a reflection of the sky on the water and the images were then pecked and created in the rock. The Iroquois Midwinter Ceremony occurred in late January or early February, dependent on the midwinter new moon and lasted at least a week. Iroquois belief systems rely heavily on the lunar calendar and an appreciation for moon phases and constellations helped to guide their survival. The Pleiades, a winter constellation of seven stars is known as the seven sisters in Greek mythology. When the Pleiades appeared in the sky in North America, it was a sign for the male hunters to return to the village from their early winter hunt. The ceremony was a period for renewal and thanksgiving, an opportunity for the hunters to rest before returning to the woods. A celebratory time of gathering in preparation for the remaining weeks of winter. Environmental changes such as tree buds, or sap running are indicators of spring and one that our maple sugar producers follow closely. Birds that migrate begin to return north and animals who hibernate begin to emerge. These changes in the season and the significance of animals and birds to Native groups is likely reflected in the effigy figures created. Bears, turtles, owls and geese appear in artifacts such as clay smoking pipes, carved stone and wood, or shell ornaments which honor their significance. These rituals and ceremonies were a valuable tool for ancient cultures in planning for the remaining months of winter. Whether predicted by the moon phases, constellations, floral or animal behavior each of these indicators were a survival tool and a coping mechanism for the dark days of winter. The desire to add light either by honoring the solar system, building a fire, or lighting candles all produced the same effect of illuminating darkness. These cultural practices have changed and evolved over time, but at the core of these is the desire for light and that sense of renewal that comes with spring. 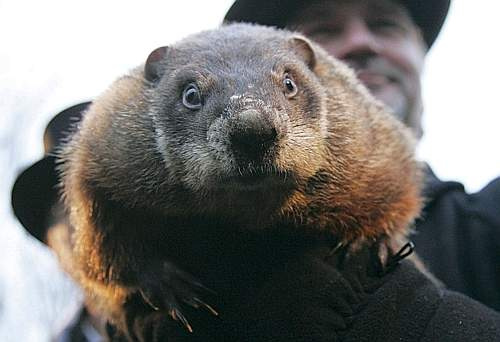 We hope that you’ve enjoyed this reflection on our winter weather and that Punxatawny Phil’s prediction is for an early spring. Snow, Dean R., The Iroquois, The Peoples of America, Blackwell Publishers, 1996.